Churchill’s Sliding Wardrobe Doors design, manufacture and fit the most space efficient and beautifully styled range of bespoke sliding wardrobes throughout the United Kingdom. 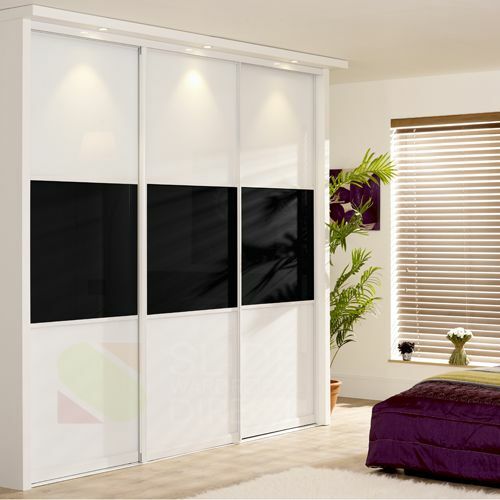 Within this site, you will find a special collection of fitted sliding wardrobe doors designs. Take your time and choose the right mood for your bedroom. We have gone to great lengths to give you the widest possible choice of fitted sliding wardrobe doors. Our range includes classic woods like ash, beech, mahogany and walnut: an extensive selection of subtly coloured glass door panels, and a choice of space enhancing glass mirror doors in bronze, grey or silver. Whichever design of fitted sliding wardrobes suits you best, what you are guaranteed is a fingertip sensitive, smooth and effortless sliding wardrobe doors. Turn your dreams for a new bedroom look into reality now. Request a copy of our free Sliding Wardrobes colour brochure or arrange a visit from one of our friendly and knowledgeable home designers, who can help you design a beautiful bedroom with sliding wardrobe doors that you’ll love waking up in. We offer a nationwide service, in which we design, manufacture and fitted sliding wardrobes for you, giving you the spacious and elegant bedroom you’ve always dreamed about. Whereby we can measure and supply and deliver a fully bespoke cabinet to your choice of style and specification using only the best of materials, including our unique “reflectflow system” where you can finish and fit at your leisure, we will obviously be on hand to assist where needed. CALL NOW 0800-328-8877 to take advantage! With Churchill’s Supaglide steel fitted sliding wardrobe doors tracking system , you can select any of the finishes detailed here to match or complement the frame finish to your chosen fitted sliding wardrobe doors finish. To arrange a Churchill’s Fitted Sliding Wardrobe Doors Design visit, simply call us at 0800 328 8877 free from anywhere in UK or click here for a free Fitted Sliding Wardrobes brochure.